I dagens blogpost hos Creative Fingers takker DesignTeamet våre flotte sponsorer, og jeg vil sende en spesiell takk til Mitzi, kunsteren bak AuroraWings. Today the DT's of Creative Fingers Challenge blog is thanking our generous sponsors through this past year! We have created cards for all the awesome artists, and I would like to say a special thank you to the sweet Mitzi of AuroraWings ♥ And don't forget, there is still a couple of weeks left to join our challenge #61. with a great prize from Ching-Chou-Kuik! 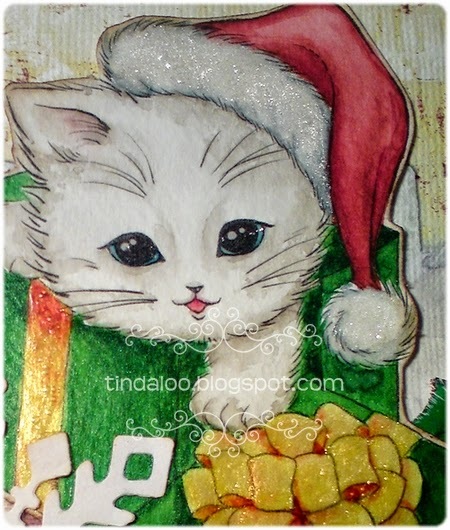 Stamps/Images: AuroraWings 'Christmas Kitten' & 'Kitten in a Stocking'. Lazar StudioWERX Inc rubberstamp 'Funky Holidays' (swirl). Magnolia 'BakgrundsSwirl Bröllup'. Kort & Godt M-130. Santa image and front textbanner is recycled from an old christmascard. Papers: Bazzill cardstock. Plain white, green cardstocks. CreateWings Designs 'Creation 23 Quick Pages' a digikit with Catherine Designs. Embellishments/Tools: Spellbinders™ Nestabilities 'Petite Ovals Large'. QuicKutz (new branded as LifeStyle crafts/We R Memory Keepers) 'Snowflake RS-0386' & 'RS-0281 star'. Martha Stewart 'Flourish Edge Punch'. Crafts gold rhinestones, unknown snowflake. <~ I've added Rangers Ink Stickles and Glossy accents to the image, it really makes a lot of difference! 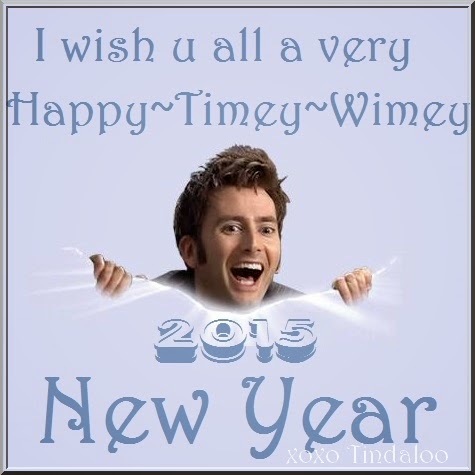 This digi and more can be found for free if u join the Stamps by AuroraWings group on Facebook! Mitzi has super qualitylineart, and wonderfully details in her art! Techniques: I always use my Scor-Pal to score n fold my cards. I prefer Canson Montvale aquarelle paper (200 g/m coldpressed). My distress tools from Ranger Ink is always in use! ~ Tim Holtz® Mini Ink Round Blending Tool & the Inkssentials Ink Blending Tool and Foams. I used misc. Luminarte Twinkling H2o's Shimmering Watercolors, and Tim Holtz Distress Ink pads & markers to watercolor and distress image and papers. Just a little heads up! I just discovered I had gotten a reCAPTCHA 'prove you're not a robot' thingy in my comments form on my blog! It wants a Word Verification now! How annoying!!! Fiddled first with the settings - nope - even with allowing all to comment it was STILL there.. Searched for a solution and here it is: if you go to your settings and let the comment form be embedded (not pop up on a seperate little page if u had that) it works for some of us but not all blogspot users it seems! Worked for this blog :) Here is how to. The unwanted CAPTCHA is the result of a coding / design mistake, that Blogger made earlier this week. They are working on improving it. The Real Blogger Status ›Confusion From Comments And The CAPTCHA Blogger Help Forum ›Getting Rid of reCAPTCHA ?? (Update 12/12 14:00): The CAPTCHA for moderated blogs should now behave as normal. Non moderated blogs are still pending. ● Crafty Little Fairies December ~ Holly and/or Ivy! [Dec. 28th.] broken? 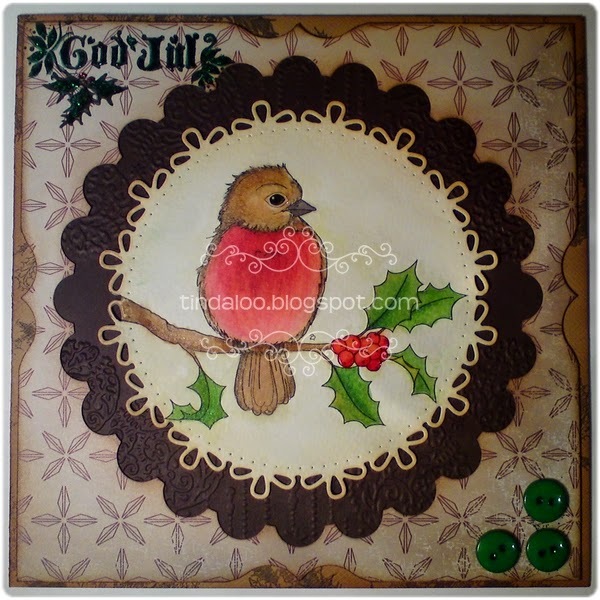 Stamps/Images: Beccy's Place 'Baby Robin' digistamp. Bo Bunny 'Father Christmas' clearstamps. North Star Stamps Clearstamp NSS 'Juletre med God Jul'. 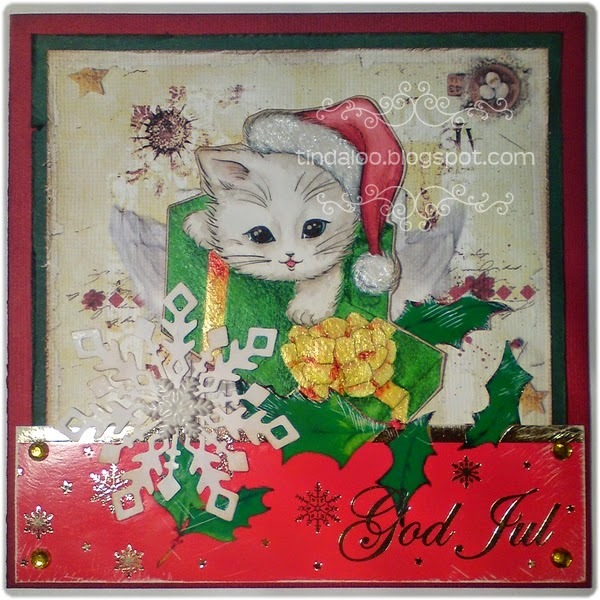 Panduro hobby / Poppy Designs - Vibeke Spigseth CS 'Tre & Pingvin'. Papers: Bazzill cardstock. Plain white and brown cardstocks. 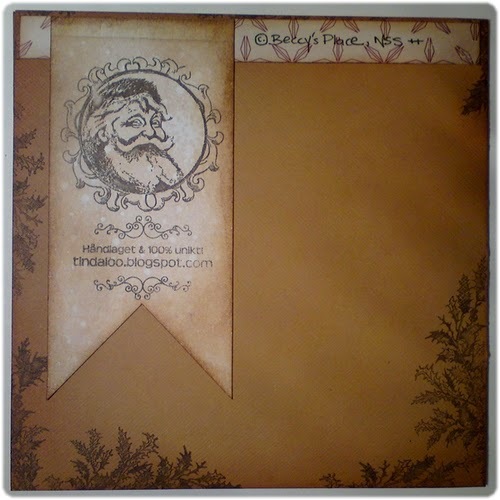 Panduro Hobby 'Vintage Christmas' and others designpapers. 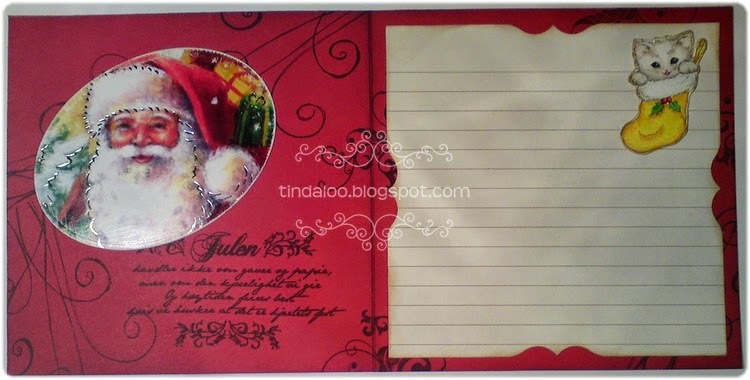 Selfmade journaling paper. Createwings Designs digital mouse element from 'Winter woodland' Scrap Orchard collab. Embellishments/Tools: Marianne Design 'Circle and Flower Stitch CR1248'. Martha Stewart 'Flourish Edge Punch'. Whimsy Shapeology Die 'Double Scallop Doily'. 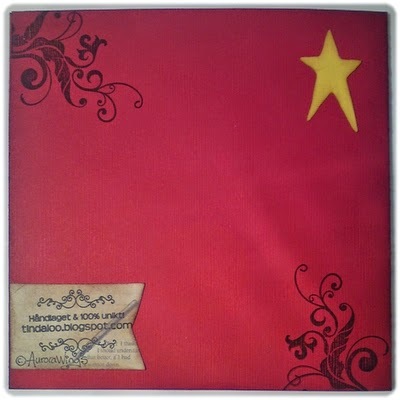 Crafters Companion 6x6 Emb.Folder 'Vintage Decorations'. Spellbinders™ Nestabilities 'Petite Ovals Large'. Buttons. Techniques: I always use my Scor-Pal to score n fold my cards. I prefer Canson Montvale aquarelle paper (200 g/m coldpressed). My distress tools from Ranger Ink is always in use! ~ Tim Holtz® Mini Ink Round Blending Tool & the Inkssentials Ink Blending Tool and Foams. I used misc. Luminarte Twinkling H2o's Shimmering Watercolors, and Tim Holtz Distress Ink pads & markers to watercolor and distress image and papers. 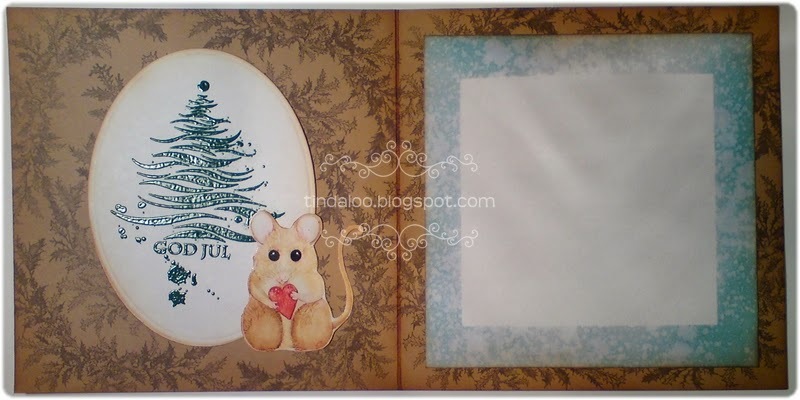 I also heat-embossed the christmastree, and added stickles and glossy accents to text n details on the front.